I haven’t posted in a while. I could give you a thousand spurious reasons for this, but the truth is that I’ve been avoiding it because I need to do a post about birds. I’m not a birder. But if I’m trying to cover the entire ecosystem of the Lowveld, I will have to deal with the birds at some stage, because there happen to be quite a few of them. I have managed a couple of bird posts, and now it’s time for another one. But I’m not really sure what to call these birds. Lurkers maybe. Skulkers. They are sometimes referred to as game birds, since there is a particular sort of person out there that prefers shooting them with shotguns to a nice, quiet round of Scrabble. 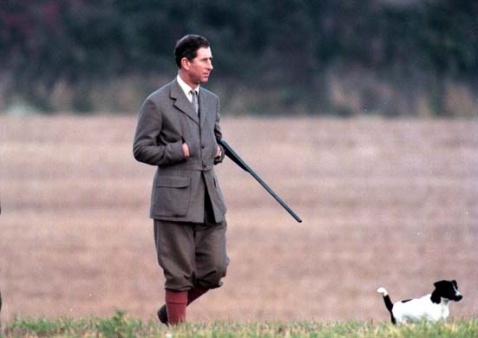 I can never remember… Is it pheasants or peasants that we’re after? I haven’t posted in a while. It’s not my fault. A bird got in the way. 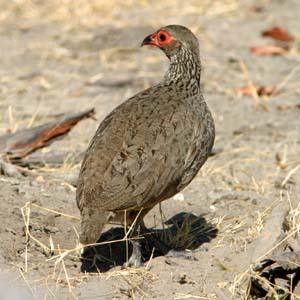 A Francolin. Every now and then I start a post and it either doesn’t feel right or I just lose interest. This time I didn’t just start, I got two thousand words in. I was writing about game birds. I got up to the Francolins, and went off to bed. That was nearly two weeks ago. I sat down a couple of times, looked at the damn Francolins, and thought “meh”. And wrote angry diatribes about our government for a local news site instead.